Relay teams camp out overnight and take turns walking or running around a track or path at a local high school, park, or fairground. Relay events are up to 24 hours in length and, because cancer never sleeps, each team is asked to have at least one participant on the track at all times. We are fortunate to host the 4th Annual BSSL Golf FORE Charity Tournament at the prestigious Bridgemill Athletic Club in Canton, Georgia on Friday, October 18, 2013. 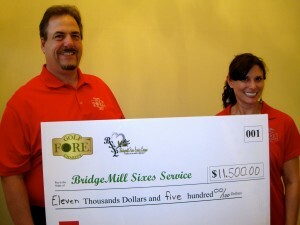 ALL proceeds will benefit local charities in Cherokee County by way of the BridgeMill Sixes Service League (BSSL). 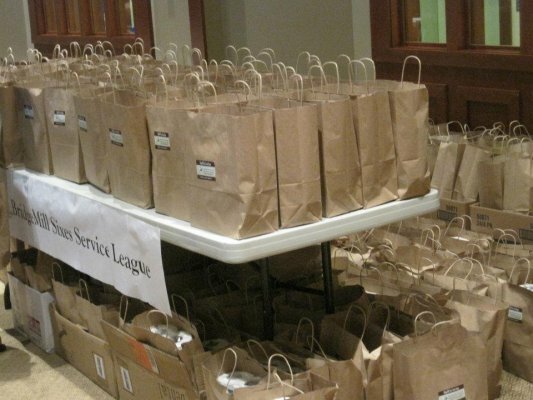 The BSSL is a recognized 501(c)(3) charity. Are you ready for some spooktacular family fun? 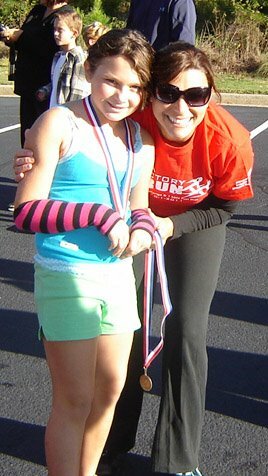 Oct. 19th is our annual 5K/1M fun run and it is better than ever! The event will be a twilight run with racer registration starting at 5:00pm. 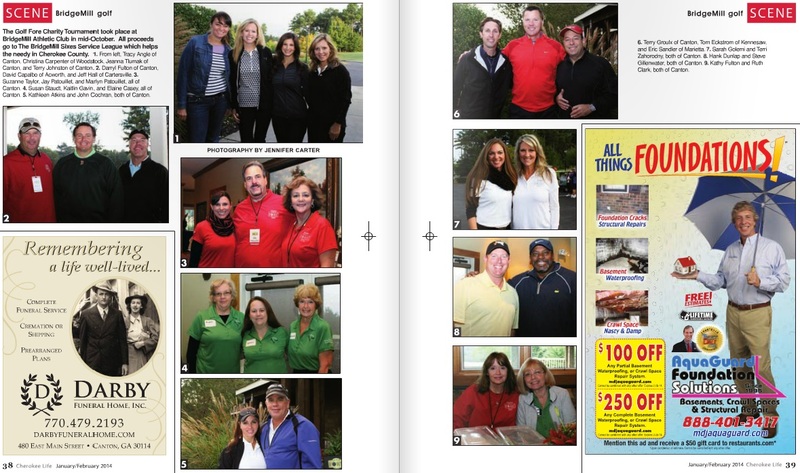 There will be a DJ, bounce house and Featherstone’s grilling to keep all the hungry goblins satisfied. 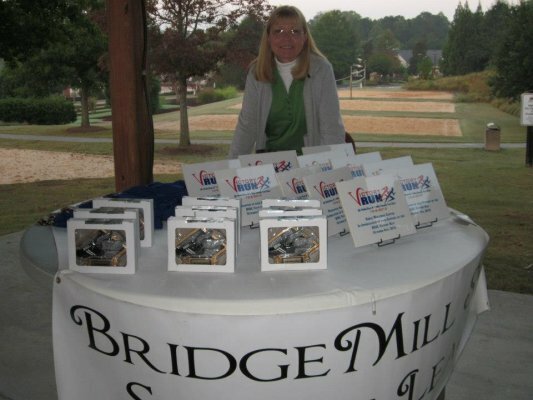 The 5K race starts promptly at 5:30pm going over the beautiful and challenging back 9 holes of BridgeMill’s golf course. Feel free to walk or run depending on your abilities. 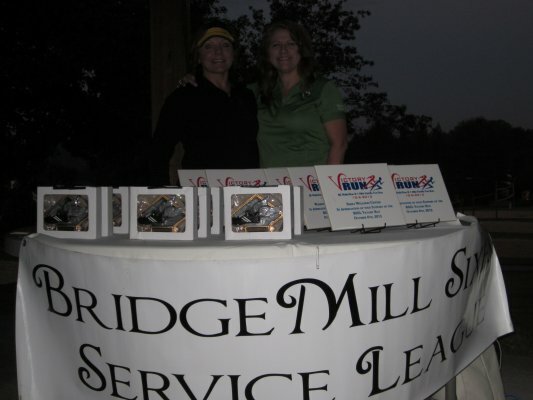 The 1 mile fun run at 6:30pm will take a tour around the BridgeMill facilities and every running ghost will get a participation medal and high five. The night will cap off with the pet costume contest parade and award presentation. There will be awards for top 3 male and female racers and the winner of the fun run as well as best dressed pet and spookiest racer. It is going to be a great time for all and as always the proceeds go to local charities and families in need. Be sure to sign up right now ! 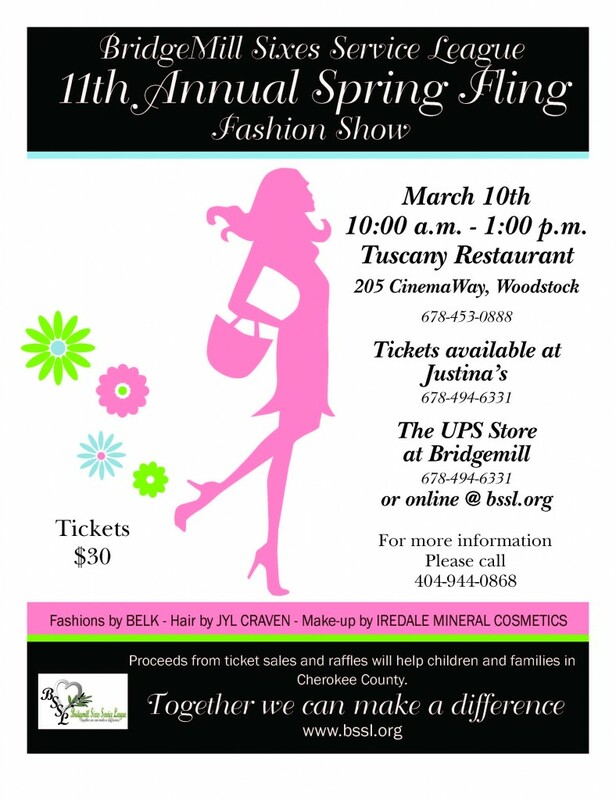 The 12th Annual Spring Fling Fashion Show will be hosted again by Tuscany’s Italian Restaurant on March 16th at 10 am. 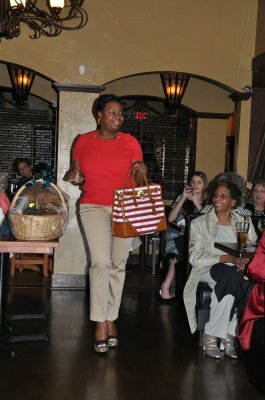 Enjoy your brunch while watching our models strut their stuff in the latest fashions from Belk’s. 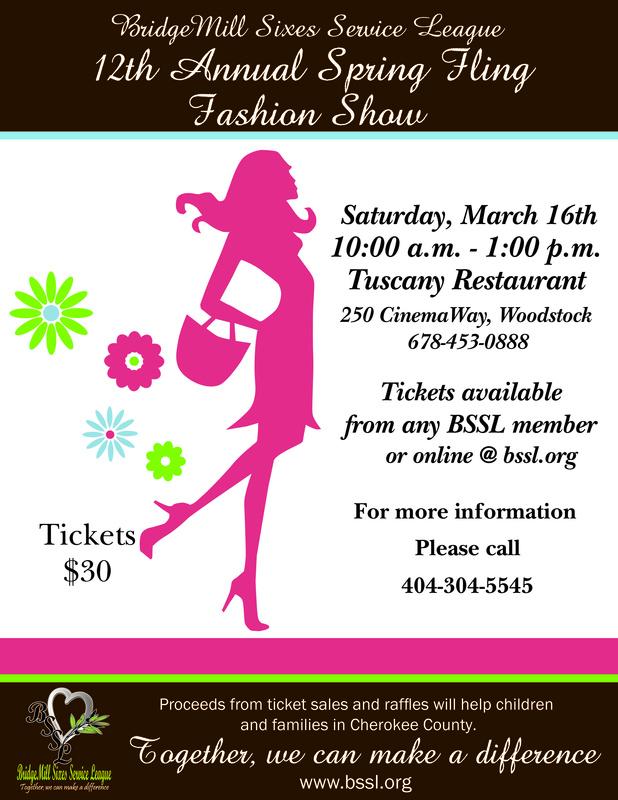 Tickets are $30 and can be purchase in advance from Roslyn Shankland, at the door, or online. 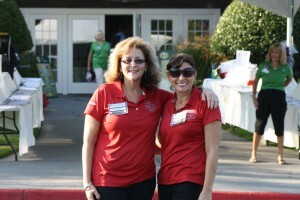 The third annual BSSL Golf FORE Charity Tournament took place September 7th, 2012 at the BridgeMill Athletic Club. 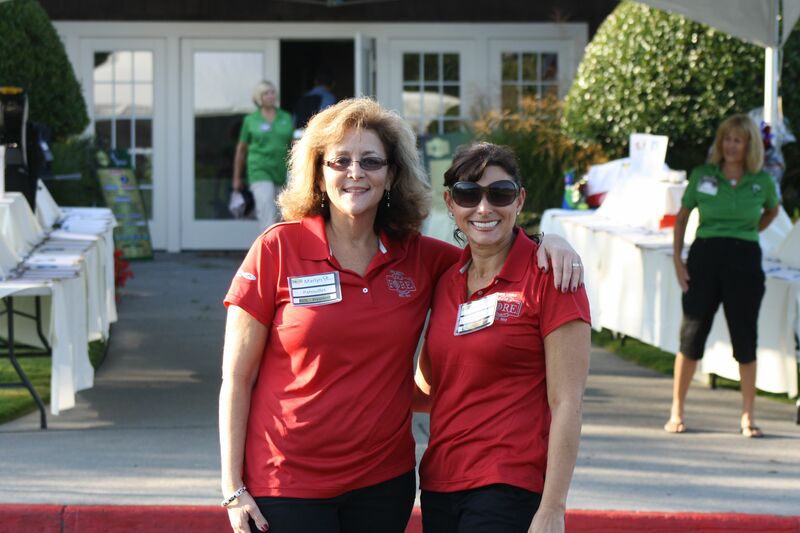 Golfers enjoyed breakfast, 18 holes of golf, lunch and a chance to win contests and excellent raffle prizes like an iPad, XBox, AMEX Gift Cards and a Kindle Touch. 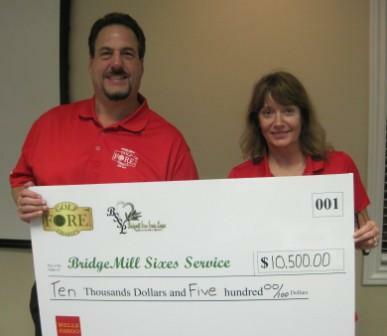 In 2012, this event brought in over $11,500 in proceeds that went to help those in need in Cherokee County. 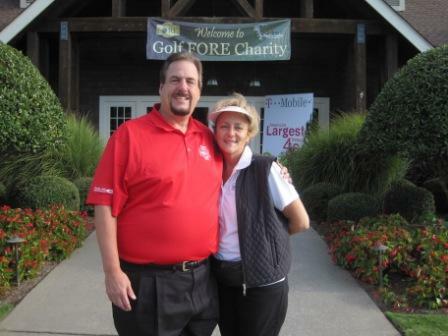 Please visit the Golf FORE Charity website for the complete event photo gallery. 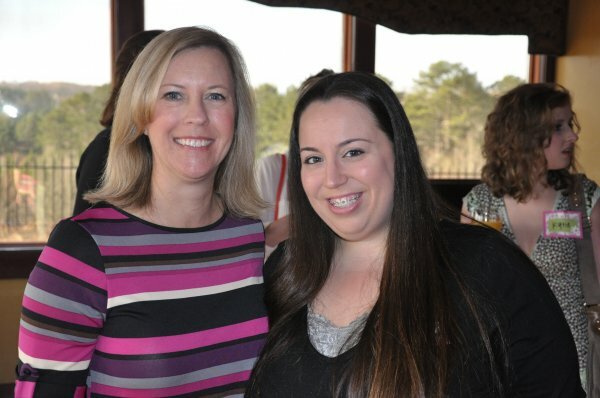 GAKAC helps kids with get ready for school in Cherokee County with filled backpacks, haircuts, clothing, socks and undies, medical screenings, and spinal screenings. 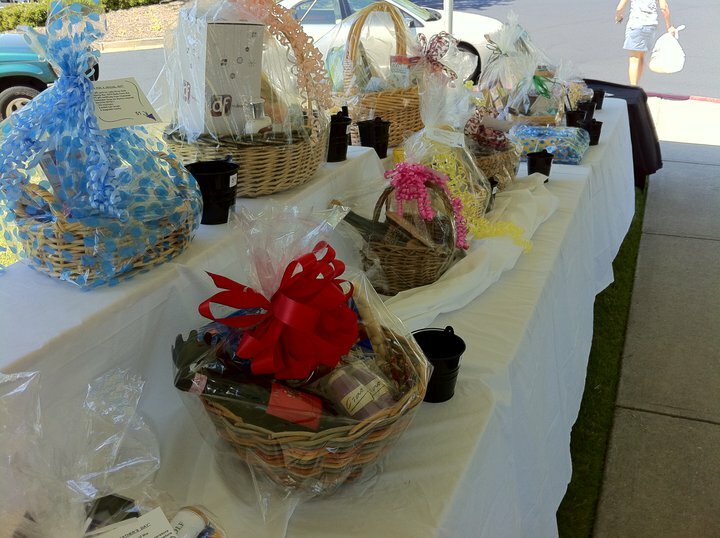 Come sample some of the wonderful new wine selections from Bullock’s and dine on delightful hors d’oeuvres all while vying for your favorite silent auction items and basket raffles. 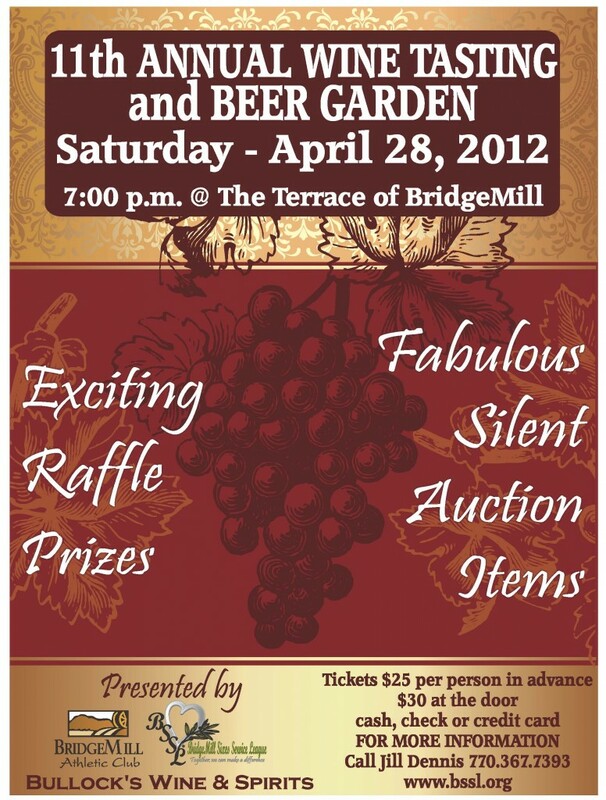 It will be a fun filled evening so get your tickets early for a discount below. 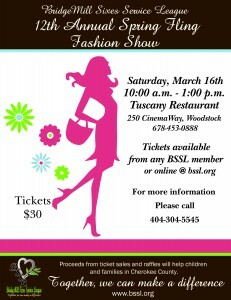 Join us for a great brunch, view the latest fashions and maybe win a prize all while helping those in need in our area. 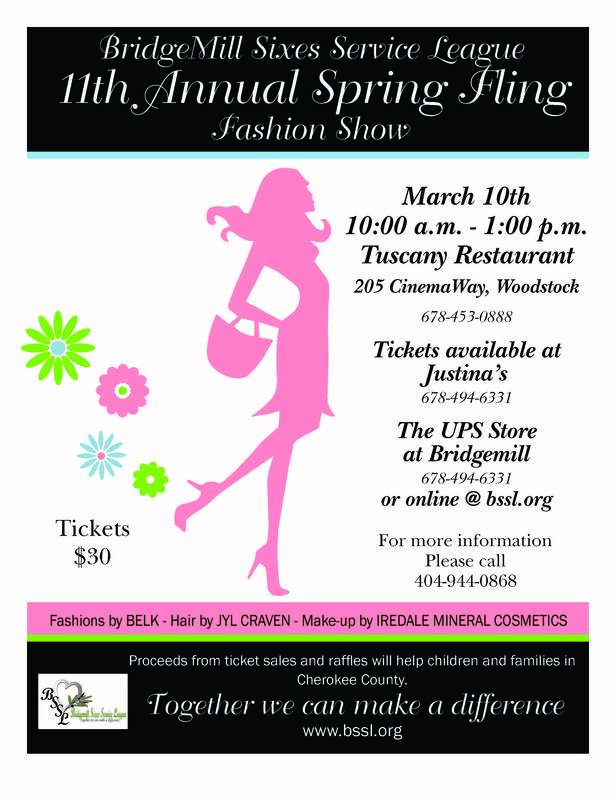 Tickets are $30 and can be purchased at Justina’s Boutique in Woodstock, UPS Store at BridgeMill, from any BSSL member or from the Spring Fling webpage. For more information please call (404) 944-0868. February 7th and end on February 16th! 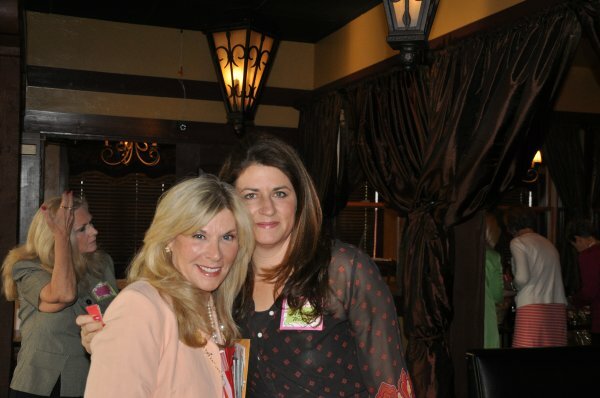 This is a great time to clean out closets, toy rooms and basements for those gently loved stuffed animals. Brand new stuffed animals are welcomed too as they will be given to local children’s hospitals. The donated stuffed animals will be taken to local fire and police departments, child advocacy agencies as well as children’s hospitals to bring comfort to children in a time of crisis.